EcoGlass’ surging output underscores a wave of change as the straw emerges as a central symbol of the world’s plastic-trash crisis. Craig Graffius started EcoGlass Straws 12 years ago with three decades of glassmaking experience and his vision for an alternative to the ubiquitous plastic straw. What he didn’t have was anyone clamoring for his product. 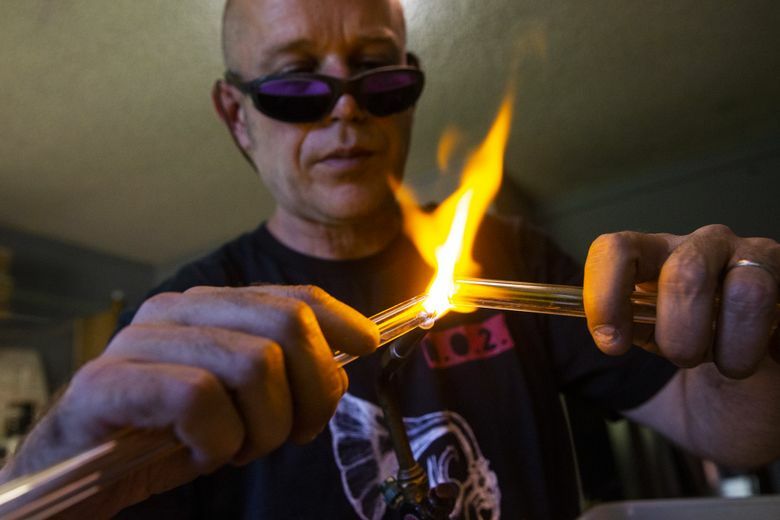 Today, his four-person shop in Hood River, Oregon, is gearing up to turn out 2,000 handcrafted glass straws an hour. That’s up from the current pace of 125 an hour, or 1,000 a day. EcoGlass’ surging output underscores a wave of change as the straw emerges as a central symbol of the world’s plastic-trash crisis. With consumers searching for greener options, companies from Starbucks to McDonald’s to MGM Resorts International are responding. The furor dates to a viral 2015 video of marine biologists pulling a straw from deep inside the nose of a sea turtle. Then in 2017 the “Strawless in Seattle” campaign motivated cities to take action. The public outcry escalated to the point McDonald’s, Starbucks and MGM have vowed to phase out their reliance on plastic straws globally. American Airlines Group said Tuesday it would replace plastic straws and stir sticks with more “eco-friendly” straw and bamboo options. Alaska Air Group said in May it would phase out single-use plastic straws. While straws account for just 0.03 percent of the 8 million metric tons of plastic that enter the ocean each year, according to a 2015 study, the disturbing images refocused the world’s attention on the problem. In recent months, countries in Europe have begun announcing bans or limits. As of July 1, Seattle became the first major U.S. city to outlaw plastic straws, after similar measures by smaller cities along the East and West Coasts. Even where laws haven’t changed, the public outcry is pressuring companies to respond or risk alienating customers. That pressure travels up and down the supply chain. Best Diamond Plastics co-founder and President Mark Tolliver has grown his straw-making business to more than 70 employees from the five he started with in 2008, in large part thanks to his first major customer: McDonald’s. Now his 73,000-square-foot plant in Chicago churns out plastic implements for customers including five big fast-food companies. In the past six months, the drive for an alternative became more urgent as he heard from all five of his big fast-food customers. McDonald’s said last month it would be replacing plastic straws with paper in the United Kingdom and Ireland by 2019, and would start testing substitutes in the U.S., as well. Many plastic substitutes come with their own set of environmental problems, said Murtaugh. Paper straws have more carbon emissions when the entire manufacturing process is considered, and plant-based bioplastics are tricky because they won’t break down if they’re not composted correctly, he said. Reusable glass straws can be difficult to clean and are significantly more expensive up front. Nonetheless, those products are also seeing demand surge in the wake of the plastic-straw controversy. The largest U.S. paper-straw maker, Aardvark Straws, can’t keep up with the flood of new orders, leaving some customers to wait three months for their orders to be filled. Eco-Products, which supplies food-service giants such as US Foods Holdings and Sysco, has seen demand for its compostable straws double in the past six months. He sells his straws direct through his company website and in bulk to a distributor, Foods Alive, based in Angola, Indiana. Foods Alive repackages and sells the straws to several hundred retail stores, juice bars and consumers. The distributor has seen sales jump by 30 percent from last year, and now markets the EcoGlass product to individuals, too, packaged with a carrying case and cleaning brush, said Matt Alvord, one of the company’s founders. EcoGlass’ phone started ringing more after the turtle video stirred more awareness about how plastic trash was harming the environment. 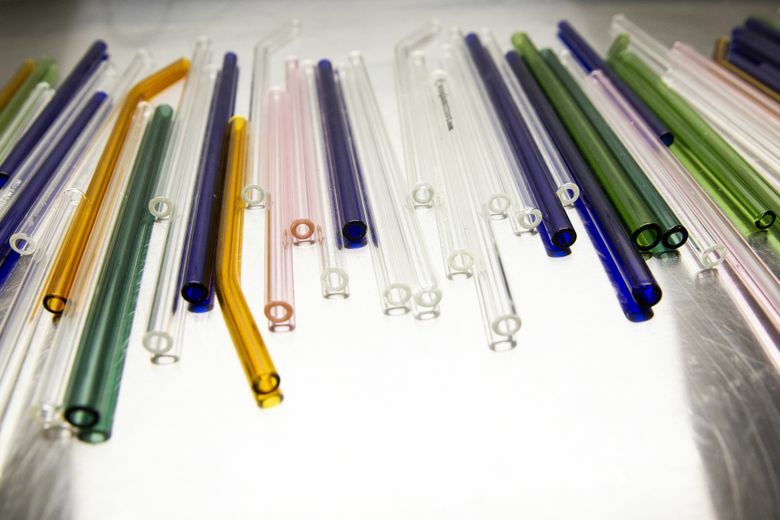 A Hood River restaurant, Pelinti Pizza, is among the new customers stocking EcoGlass straws. Owner Gabriel Head says customers have been “overwhelmingly positive,” with many thanking him for providing an option other than plastic. “People who care, get it,” he said. As demand took off over the past year, EcoGlass has been able to cut prices by almost half, with the wholesale price now ranging from $1 to $1.50 per straw, depending on style. Compare that to a box of 100 disposable plastic bendy straws that retails for $5.99 on Amazon.com, or about 6 cents apiece. Graffius is finishing work on a machine that will speed up the cutting and polishing process. He expects an average 1,890 straws an hour to roll off the assembly line by next month, which will allow him to cut prices more. Meanwhile, the glassmaker is hearing from new customers every day, ranging from hospitals to hotels.